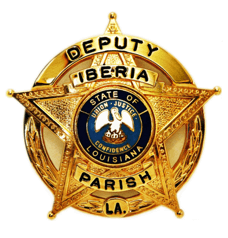 The former warden of the Iberia Parish Jail alleges he was fired last year for complaining about inmate beatings and reporting other wrongdoing by deputies that included theft and forgery. Wesley Hayes, who served as warden from December 2009 to October 2013, made the claims under Louisiana’s “whistle blower” statute in a lawsuit filed Tuesday in state court in Iberia Parish. The suit names as defendant Iberia Parish Sheriff Louis Ackal. His allegations come as the agency is already under scrutiny for the March 2 death of Victor White III while handcuffed in the back of a sheriff’s cruiser and for a separate 2013 incident in which a deputy allegedly kicked and clubbed a handcuffed man when responding to a street party. Hayes’ lawsuit list three instances of alleged abuse at the jail, two in April 2011 that Hayes said he witnessed and a 2012 incident captured on video. He initially did not discuss the 2011 attacks “out of fear of retaliation” but later gave a statement describing what he saw, according to the lawsuit. The lawsuit states Hayes brought the video of the 2012 incident to the attention of others at the Sheriff’s Office. The former warden does not identify any of the deputies directly involved in the alleged attacks, and it is unclear whether they faced disciplinary action. Hayes’ attorney, Clay Burgess, declined to discuss the details of the allegations, and Sheriff Louis Ackal did not respond to a request to comment on the lawsuit or the circumstances of Hayes’ termination, citing a policy of not commenting on pending litigation. Protections are in place for persons classified as whistleblowers. If you are the victim of whistleblower harassment, you need an attorney. Call the Law Offices of L. Clayton Burgess to schedule a NO COST case evaluation. In the event that you file a whistleblower lawsuit, we a no win, no fee firm.